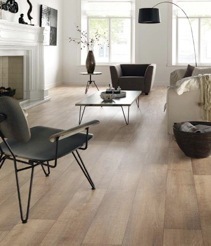 Vinyl flooring is incredibly durable and hard wearing and resistant to dirt and damage. Technological advancements have improved the style, appearance and practicality of vinyl linoleum, making this product a more popular flooring choice. in interior trends - styles of wood, ceramic, stone and metal. Vinyl offers best value with a host of unique benefits suitable for commercial and domestic use.